Price: €4,745 / $5,601 / £4,309 per person sharing. Our Birding Tour Comoros and Mayotte will visit all three islands of the Comoros as well as the island of Mayotte. Although Mayotte is a department and region of France, traditional Mayotte culture and ecology are most closely related to that of the neighboring Comoros islands and biogeographically it is part of the Comoros. This tour allows a rare opportunity for any serious lister to hopefully connect with some of the rarest, most range-restricted, and/or endangered species on the planet. 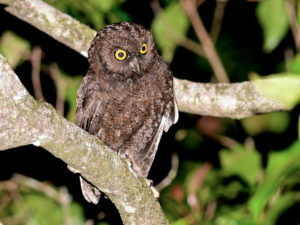 These include Karthala Scops Owl, Moheli Scops Owl, Anjouan Scops Owl (all three listed as Critically Endangered by IUCN), Mayotte Scops Owl, and many other birds, a large number of which are endemic to the Comoros with their respective subspecies being endemic to their specific island. 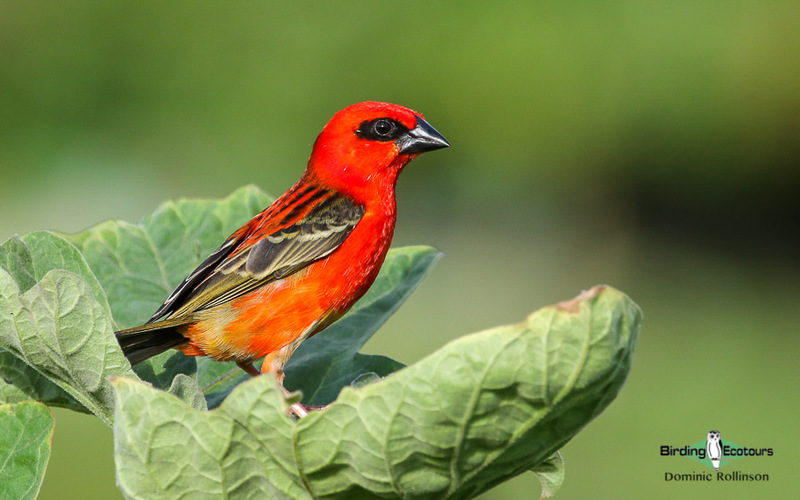 Not only is the birding spectacular, but so too is the scenery and the variety in the fauna and flora that one picks up along the way. The trip, however, is quite strenuous, as the climbs are steep and the camping fairly basic. 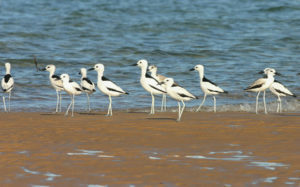 But the birds available soon make one forget about the lack of common luxuries. 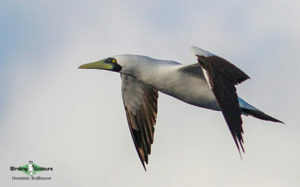 This tour will start on 30 September in consideration of those tour participants coming from our Birding Tour Madagascar: The Remote North, providing a two-day gap between tours because of rather unreliable flight connections from Antananarivo to the Comoros, where delays and even cancellations are common. 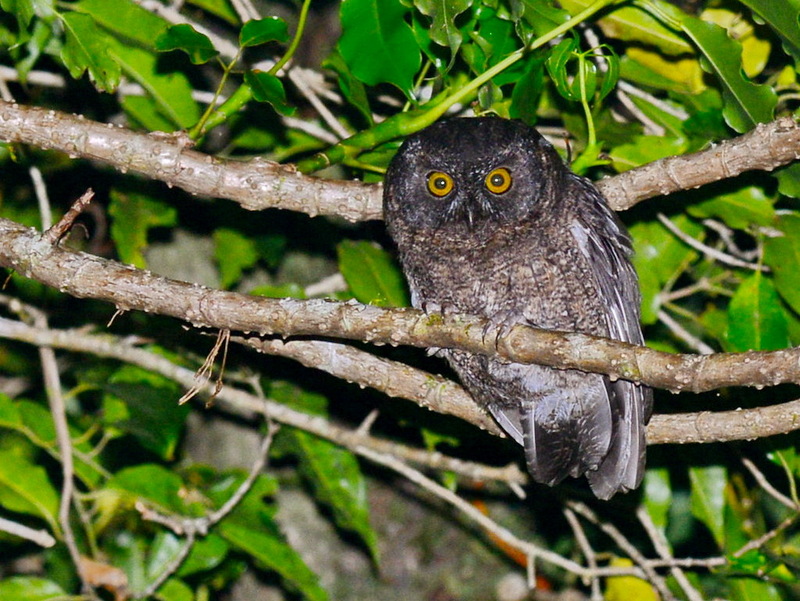 We will also add the Seychelles if the whole group wants to do these islands – the endemic Seychelles Scops Owl is easy, as is White Tern, etc. And it is easy for us to also add Mauritius – please just ask. 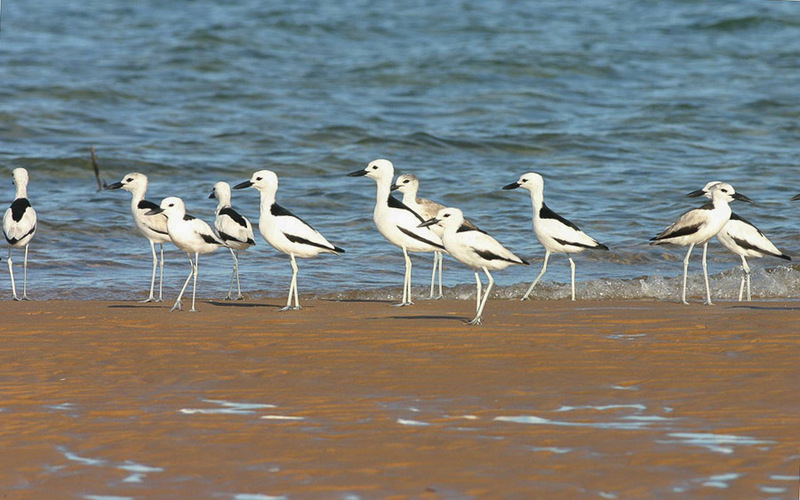 This tour can be combined with our Birding Tour Madagascar: The Remote North 2019. After arrival at Prince Said Ibrahim International Airport serving Moroni, the capital of the Comoros nation on the island of Grand Comoro (native name Ngazidja), you will be transferred to your hotel. 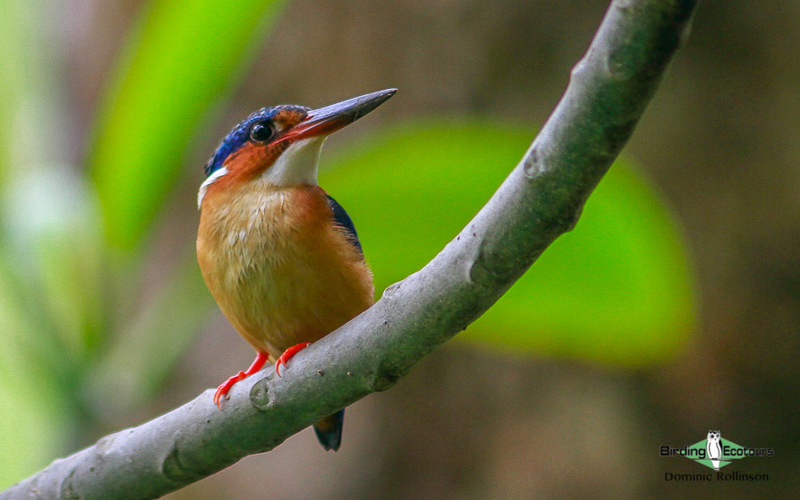 Depending on arrival time, we will go straight to the forest – the Comoros forests constitute their own unique ecoregion – to start our birding adventure. We will spend two full days hiking various slopes of Mount Karthala, an active volcano and the highest point of the Comoros. The mountain is covered by moist evergreen forest up to about 1800 meters above sea level; higher up the vegetation consists of stunted trees and heathland. After climbing up to La Convalescence and camping there the first night, we will climb to the top of the volcano into the heath forest, walk down the other side of the mountain towards Kourani Ya Sima, and camp on the flanks of Mount Karthala. 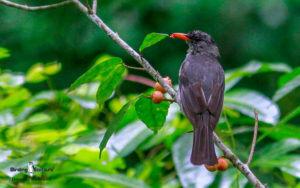 Mount Karthala is an IBA (BirdLife International: Important Bird and Biodiversity Area), and its avian riches are truly exciting. 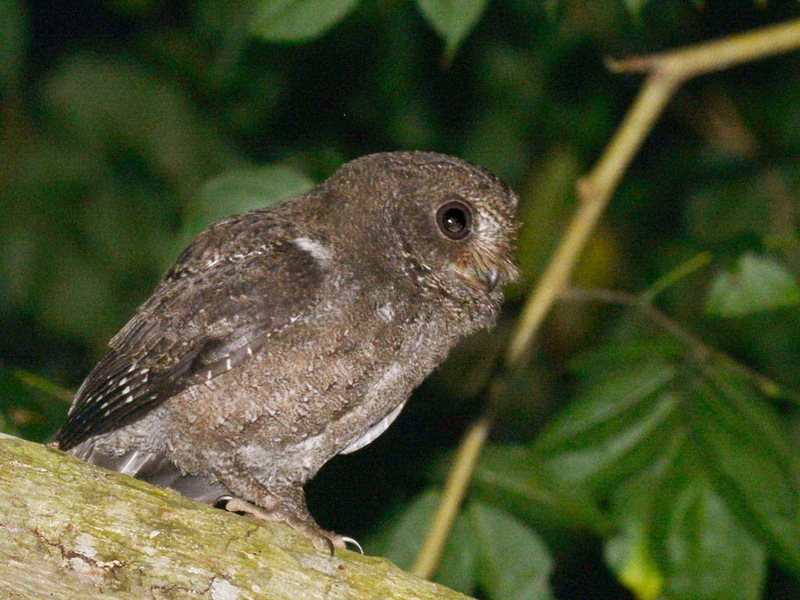 Many of the species found on the mountain are endemic to the Comoros, and four bird species are found only on the slopes of Mount Karthala: Humblot’s Flycatcher, Karthala White-eye, Grand Comoro Drongo, and Karthala Scops Owl. In addition to these very special targets we hope to find and enjoy species such as Madagascan Spinetail, Malagasy Paradise Flycatcher, Malagasy White-eye, Malagasy Black Swift, Comoros Fody, Malagasy Green Sunbird, Greater and Lesser Vasa Parrots, Olive Bee-eater, Malagasy Bulbul, Malagasy Turtle Dove, African Palm Swift, Malagasy Black Swift, and a number of endemics and near-endemics such as Kirk’s White-eye, Comoros Thrush, Comoros Cuckooshrike, Grand Comoro Bulbul,Comoros Blue Pigeon, Grand Comoro Brush Warbler, and Humblot’s Sunbird during these bird-filled two days. 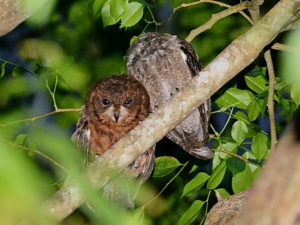 Night time outings will present two opportunities to lay eyes on one of our most sought-after targets, Karthala Scops Owl. After our morning flight to Fomboni, the capital of Mohéli (native name Mwali), the smallest of the islands of the Comoros, we again will waste little time before heading for the forests, and with this island being so much smaller it will take no time at all to do so. 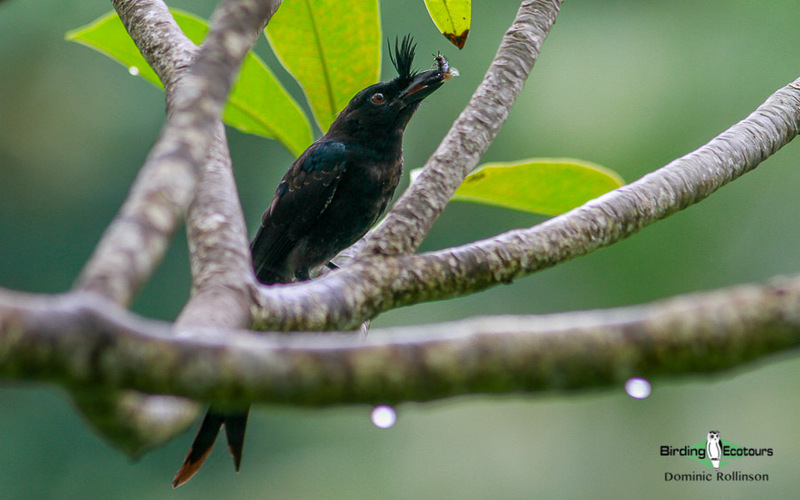 The Mwali Highlands (Mont Mlédjélé) above Fomboni are also one of the Comoros’ IBAs, and here Humblot’s Sunbird, Malagasy Paradise Flycatcher, and Comoros and Red Fodies should hopefully soon greet us, as well as countless flying foxes, which feed on the mango plantations scattered along the hillsides. 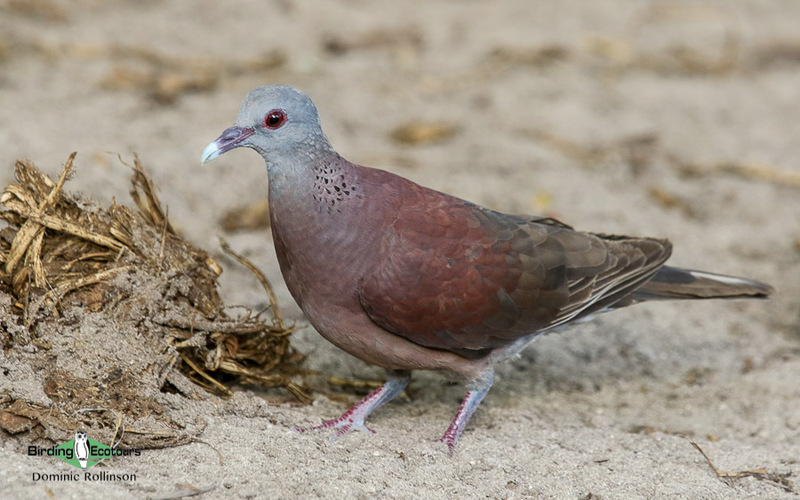 There are four bird species endemic to Mohéli that we will be looking for: Comoros Green Pigeon, Moheli Bulbul, Moheli Brush Warbler, and Moheli Scops Owl. Additional specials we might encounter on Mohéli, among others, are Comoros Thrush, Blue Vanga, Tambourine Dove, Malagasy Turtle Dove, Greater Vasa Parrot, Malagasy White-eye, Malagasy Green Sunbird, Malagasy Harrier, spectacular flybys onto the volcanic ridges of Peregrine Falcon, and with luck even the enigmatic Cuckoo Roller, the only member of an ancient lineage (not Coraciiformes), without any known relatives among modern birds and therefore the only species in its own order. 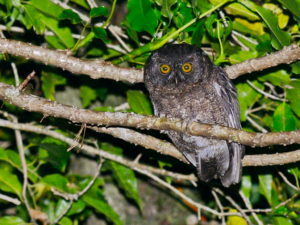 At night, while camping in the forest, we will have a sortie to try for another one of our main targets, Moheli Scops Owl. 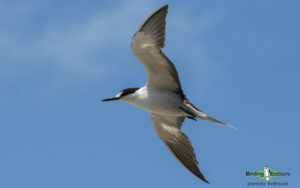 We will have another full day to search for the avian treasure the island of Mohéli has to offer. In the process, we’ll walk down to the village of Nioumachoua and the Mohéli Marine Park, the Comoros’ first – and, sadly, so far only – national park. The islets of this park with their dry or non-existent vegetation are remarkable; their importance lies in their attraction for seabirds. 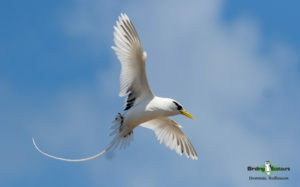 In particular we will be looking for White-tailed Tropicbird in addition to various other marine species. The part of the park extending onto the land is home to Comoros Thrush, Moheli Brush Warbler, and Blue Vanga, among many others, and offers us another chance of finding Moheli Scops Owl. After driving to Fomboni in the morning, we will take a flight to Anjouan (native name Ndzuwani). Called the ‘pearl of the Comoros’ by its residents, Anjouan is no doubt the most scenic island of the Comoros, and our drive along the coast from the airport at Ouani via Bimbini with its stunning beaches to Moya should be beautiful indeed. 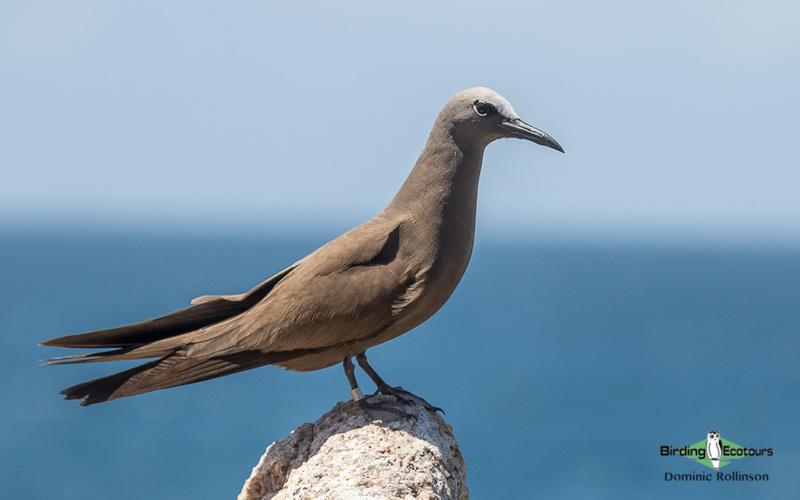 On the way we will look out for various seabirds like Sooty Tern, Masked Booby, Tropical Shearwater, Brown Noddy, and White-tailed Tropicbird. 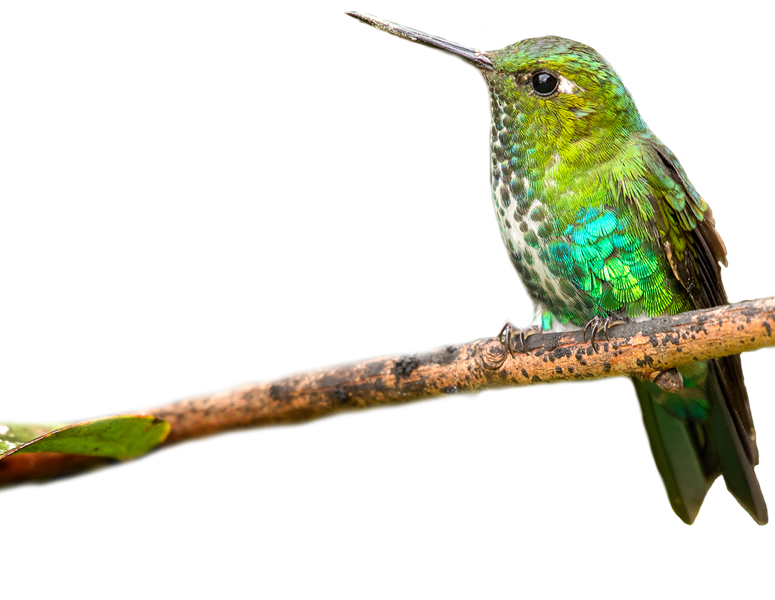 After arrival in Moya and checking into our rustic but adequate accommodations (with good food, though), we will commence our birding adventure in the area. 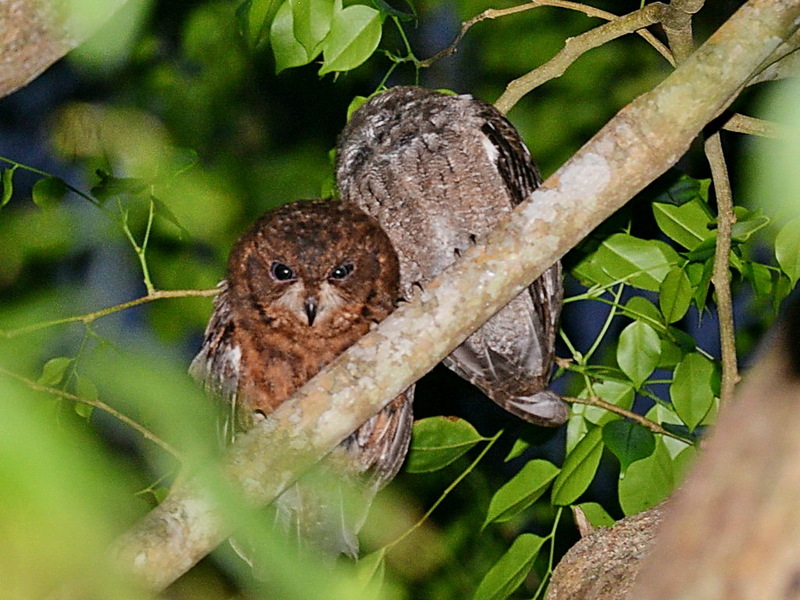 In the evening we will tackle a rather steep climb up the hillside to a know stakeout for the third of our very special owl targets, Anjouan Scops Owl. Today we’ll walk into Moya Forest (Forêt de Moya, another one of the Comoros’ IBAs) in the early morning and will spend the day birding in the forest. 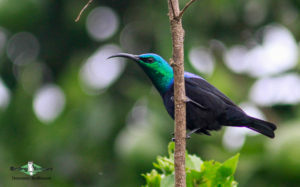 Here we’ll be looking for Anjouan Brush Warbler and Anjouan Sunbird, as well as for Frances’s Sparrowhawk, Comoros Olive Pigeon, Comoros Blue Pigeon, Lesser Vasa Parrot, Olive Bee-eater, Crested Drongo, Malagasy Paradise Flycatcher, Malagasy White-eye, Comoros Thrush, Comoros Fody, Malagasy Harrier, and, as always, many others. 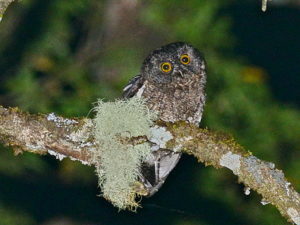 In the evening we’ll try once more for Anjouan Scops Owl. 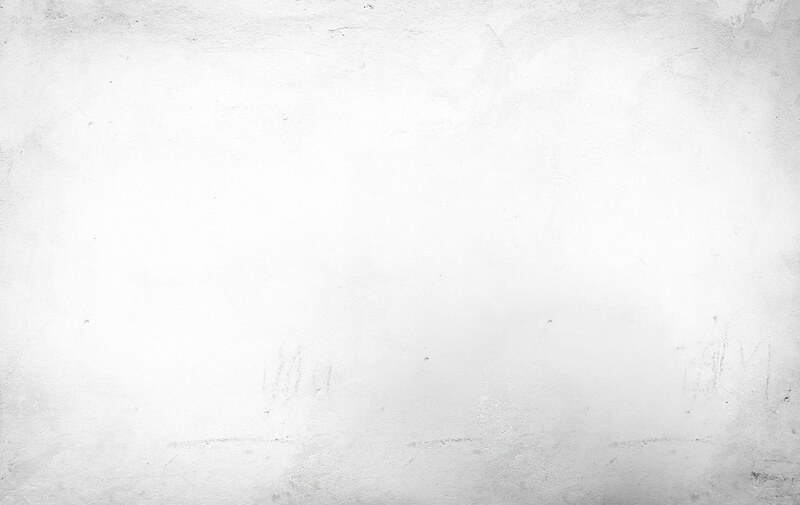 Today we will explore a new section of the island. Tents and supplies packed, we will head for Lac Dzialandzé, a small crater lake nestled between volcanic ridges. Traversing a variety of habitats along the way we once more could be locating all the endemics of the island, such as Anjouan Sunbird, Comoros Thrush, Anjouan Brush Warbler, Malagasy White-eye, and Anjouan Scops Owl. Other species along the way and at the lake itself may include Comoros Fody, Common Quail, Little Grebe, Comoros Blue Pigeon, and the most remarkable views of what appear like prehistoric pitch-black creatures, Livingstone’s fruit bats, also called the Comoros flying fox and endemic only to Mohéli and Anjouan, circling overhead – the largest bats in the world, with wingspans of up to 1.4 meters. 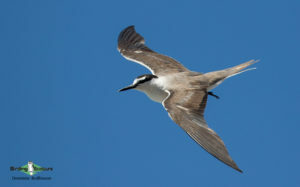 In the afternoon we will return to Ouani to be close to the airport for our flight to Mayotte in the morning. 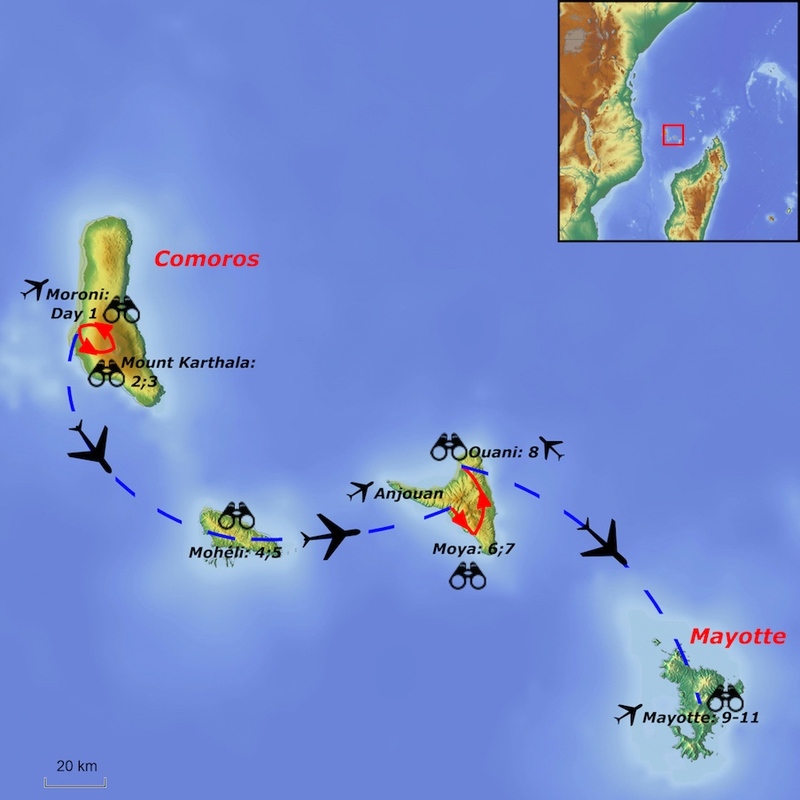 Our flight to Mayotte will be a short one. On the ferry which will take us from the small island on which the airport is situated to the main island we might be able to observe White-tailed Tropicbirds, and after arrival at our accommodation and check-in we will have a day-time sortie with Les Naturalistes de Mayotte, a Mayotte conservation organization. The birding here will again be active and exciting; the catchment for the town of Combani extends into the Mlima Combani and Mlima Mtsapéré IBA. 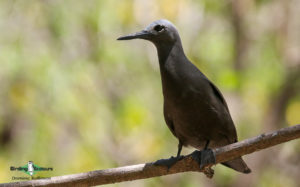 Here we hope to find the Mayotte-endemics Mayotte White-eye and Mayotte Drongo, as well as many other interesting species, such as Malagasy Pond Heron, Olive Bee-eater, Comoros Fody, Malagasy Turtle Dove, the gigantic Comoros Olive Pigeon, Comoros Blue Pigeon, Frances’s Sparrowhawk, Malagasy Black Swift, Malagasy Paradise Flycatcher, Malagasy Bulbul, Mayotte Sunbird, and Malagasy Kingfisher. In the evening we will search for the third species endemic to Mayotte and the final one of our targeted scops owls on the trip, Mayotte Scops Owl. 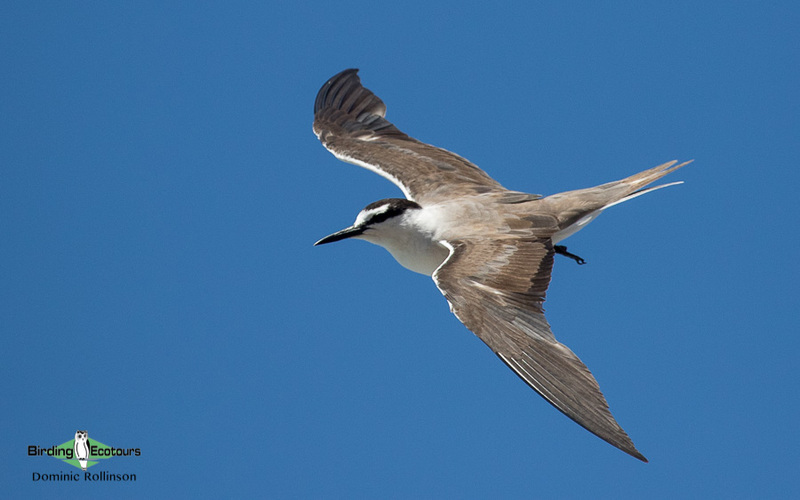 We have another full day on Mayotte to look for all the island’s special birds.  Our accommodation’s grounds are large and wooded and should yield quite a number of species in beautiful surroundings, with the sea in the background. The brown lemur, introduced to Mayotte, is frequently seen around the grounds. 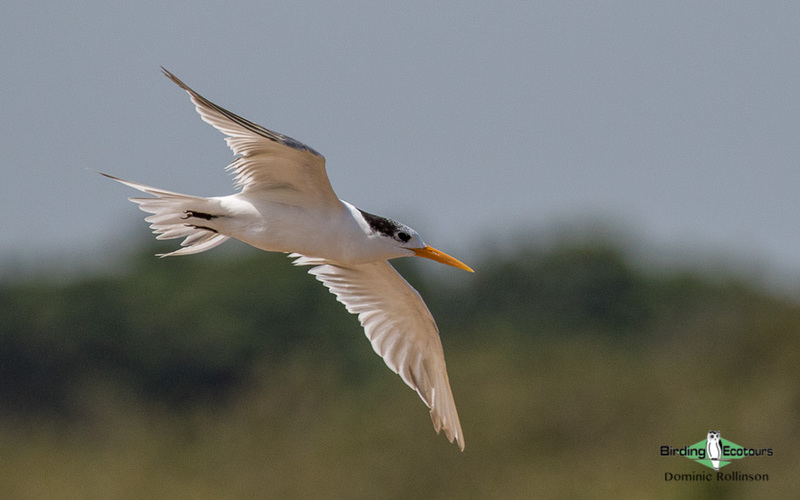 We will also take an outing to see various interesting seabirds and waterbirds, in particular we’ll keep a lookout for Malagasy Pond Heron, Humblot’s Heron, Lesser Crested Tern, Brown Noddy, and Crab-plover. 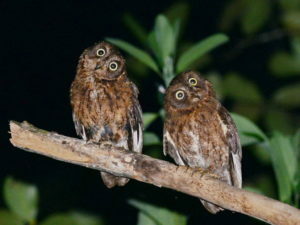 In the evening we will have another outing for Mayotte Scops Owl. Today our international flights will leave from Dzaoudzi-Pamandzi International Airport.